Hot off the presses from IWI-US: they’re now manufacturing barrels. This is big news because it means the .300AAC conversion is probably going to finally happen in 2016. 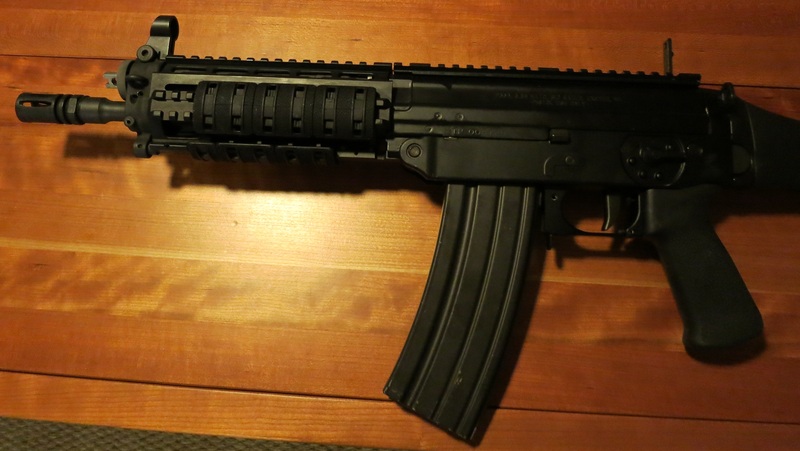 It will also aid in getting the Galil ACE rifles out the door – they need 922r compliance parts, and a barrel is one of them. Another fascinating tidbit is that they’re going to be making AR-15 and M4 barrels for other manufacturers. While this may just be a way to keep their CHF machine going at full-tilt 24/7, it would be a very short step to manufacturing their own line of AR-15s. I don’t necessarily know why they’d want to get into that market, given how crowded it is, but maybe they’d export back to Israel? No reason IWI-US couldn’t export parts to IWI, after all. Sorry that content has been a bit sparse lately – a combination of high holidays and IRL zaniness has been conspiring against me. I have a few posts in the hopper that just need photographs to finish. Still, I wanted to point out a new preview of the IWI X95 that was posted up by The Firearm Blog. Miles apparently got to use it at the recent bullpup shoot, and had some thoughts. There’s nothing wrong with polymer rails on the sides and bottom if they work correctly. The main complaints about polymer rails are that they tend to break when used with a VFG, and they can have zero shift issues on the top when the gun heats up. The former doesn’t sound like an issue on the X95, and, as for the latter, the X95 doesn’t have a polymer top rail. The constant complaints about plastic components. The AUG made these work quite well back in the 70’s. When are we going to accept that maybe materials science has advanced since Bakelite was invented? The complaints about the barrel length. If this were a PCC, yes, I’d agree that the extra barrel length is useless. I always chop my PCCs! But you get somewhat improved ballistics in 5.56×45, enough so that the “extra” barrel length can be justified. It’s hard to argue that the Tavor’s bolt release is not in a somewhat weird place. But the problem in actual usage is pretty minimal. In terms of reloads, you just rack the charging handle, which is conveniently located right above your support hand. And if your gun has failed badly enough you need to lock the bolt back, you’re not going to be shouldering it, and thus have two hands free for the manipulation. I suppose it’s annoying on the one-way range when you constantly need to show a clear chamber while the range is cold… but that’s not a high priority for me. Much like I enjoy using my Uzi mags in different guns, I’ve been looking for ways to use my Galil mags in other platforms. 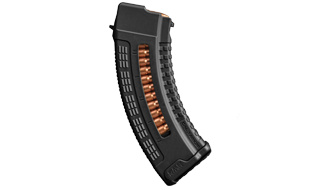 Galil mags are interesting because they fit standard AK-47 magwells. So, if you’ve got a gun with an AK magwell, you’re halfway there. Well, an “undocumented feature” of the Sig 556 platform is that if you put a Sig 556 upper on a Sig 556R lower, the gun will function just fine with Galil mags. There’s a small caveat there – polymer magazines won’t fit – but steel mags are just fine. I don’t know if this an improvement on the standard Sig 556, but it’s a clever hack.